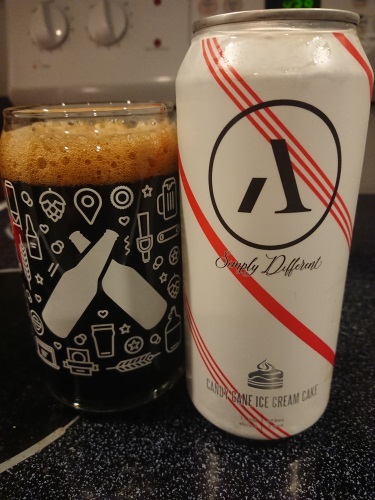 Candy Cane Ice Cream Cake by Abnormal Beer Co.
Abnormal Beer Company began pouring beer in April 2015 and is located in San Diego, California. The brewery is dedicated to creating beers that are approachable, full flavored, gluten reduced, and easily paired with food. The brewery is located inside a "refined comforts" restaurant, The Cork and Craft, which serves as its home base for all beer releases and events. The commitment to creativity and quality will be the driving force that lead Abnormal Beer Co in the future.